Through our fully managed on-line software LIMITLESS Vendor Management Solutions (VMS) gives organizations absolute visibility into their vendors: managing contracts, compliances, risks and spends. VMS enables businesses to better control expenses, drive service excellence and mitigate risks associated with vendors. 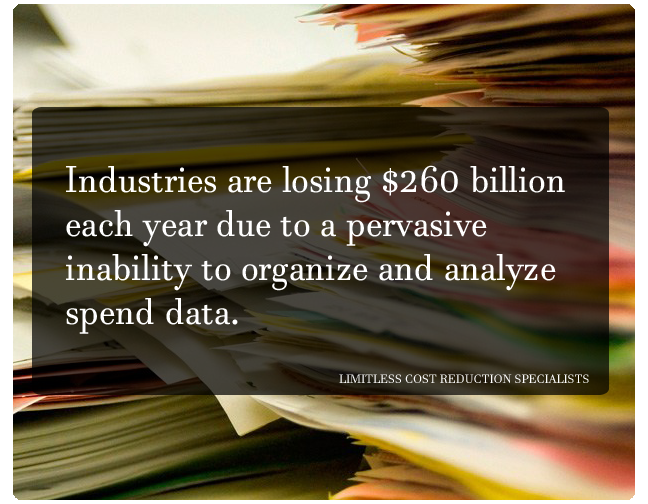 At LIMITLESS we have a powerful process improving overall bottom line. Our customizable system fits the needs of businesses on an individual basis. 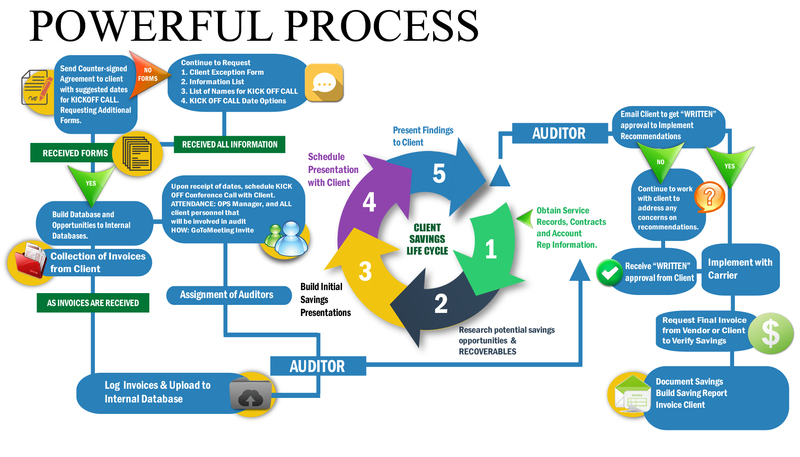 LIMITLESS performs a strategic audit and optimization process to ensure that your vendors and provider services are accurate and at the lowest rate obtainable. LIMITLESS VMS is fully managed. We collaborate with our clients using our online software where we demonstrate savings, negotiations, communication with vendors, variances in billing, renewals, and all other aspects of vendor management in one central location where you have access from anywhere. Our analysts are knowledgeable with years of experience. Our costs reduction experts devise strategies that leverage the most favored results, helping you reduce expenses regardless of industry or number of service providers. At LIMITLESS we determine if all services are being obtained at the lowest possible cost offered by your vendors as well as best services for your unique needs. Our team is familiar with pricing systems, expert contract negotiators and they know the unpublished discount rates. We work to ensure your company gets best-in-class rates. Managing Vendor Services and Invoices. LIMITLESS inventories all services, vendors, billing, contracts and agreements with your suppliers. We identify your company’s expenses by obtaining one invoice from each service per location. We determine if all charges on your bills are accurate, and if they are actually your responsibility and are generated from your accounts. It’s quite common for a business to receive bills for services they don’t use and aren’t responsible for, or are outdated or no longer in use. Our audit helps ensure that you’re being billed only for those services and equipment that you are using. 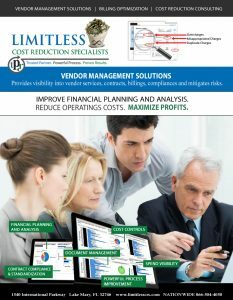 LIMITLESS’s Vendor Expense Management Solutions includes a complete and comprehensive review for all spends. Within the process the billing audit is performed by an expert assuring your contract rates are strongly negotiated, your prior and existing rates are adjusted, and we present you with future optimized monthly go-forward rates with reduced costs in place where possible. LIMITLESS works with your vendors to obtain credits and refunds for misappropriated charges, determined unnecessary services and remove these costs while negotiating new contract rates, terms, conditions and SLA’s; leading to large savings and better contract positions. Our cost reduction analysts ensure that your bills comply with the applicable state and local regulations. Non-compliant billing practices can affect your company’s bottom line.We provide a comprehensive service where, either on a monthly or quarterly basis, we continue to review your bills to ensure that your providers are keeping your companies’ best interest and costs in mind. As an additional part of our services, when new contracts open LIMITLESS will also negotiate your new rates, terms, and conditions. 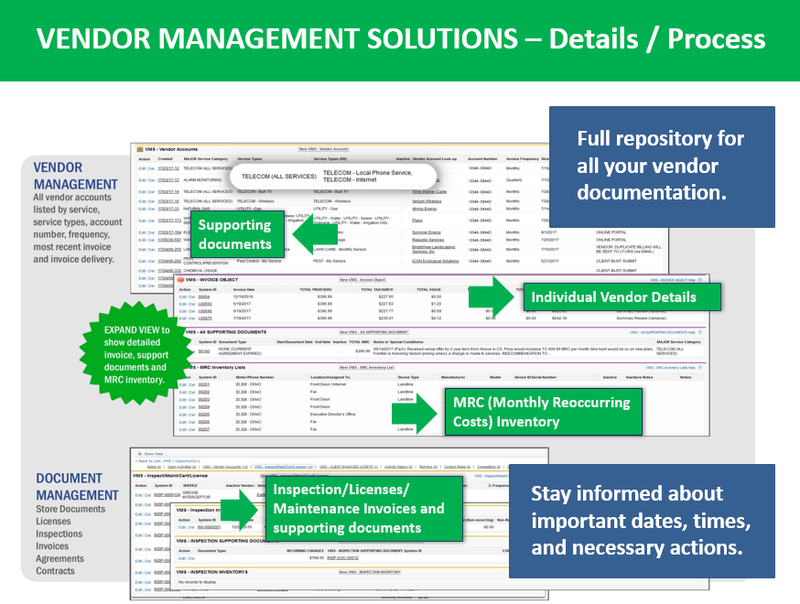 Managing Vendor Contracts and Documents. Contract management or contract administration is the management of all contracts, agreements, vendor responsibilities made between customers, vendors, partners, or suppliers. And bottom line can be a real pain in the…neck. At LIMITLESS we analyze current contracts that are in place and renegotiate new contracts to reduce costs. We assist clients by offering a complete vendor management portal solution for all telecom, utility and waste contracts and agreements. 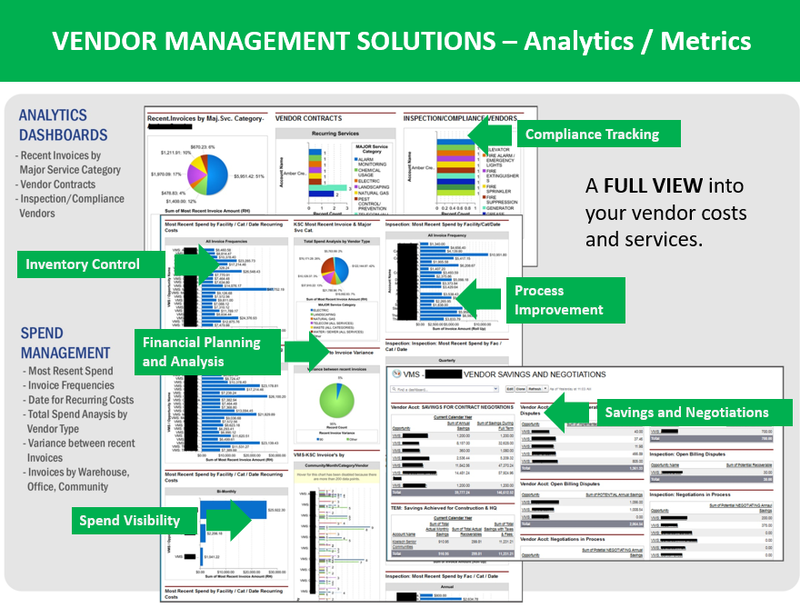 Contract management monitors compliance and suggests areas of cost reduction. Many companies experience problems with rates and charges that differ from the rates contained in an initial Agreement. Typically, when rates differ, it is not in the customer’s favor. LIMITLESS has on-staff consultants with specialized knowledge of the challenges involved in contract negotiation. We work to understand the needs of our clients and match those needs with contracts that meet the expectations, budgets and quality of services that our clients desire. Our vast understanding of the industry allows us to offer our clients unprecedented levels of expertise in all matters regarding contract negotiation. In addition, we work with clients to plan for future changes that could impact the overall picture. We provide our clients with the flexibility needed to adapt to the constant changes in the industry while still offering methods to minimize costs. From our client’s needs, we work with vendors who will propose multiple solutions. In some cases we undergo contract negotiations with numerous carriers to offer multiple proposals for our client to obtain the most aggressive pricing. LIMITLESS accepts no compensation from these carriers and is vendor-neutral offering unbiased advice and analysis of carriers and providers, along with their solutions. This allows us to approach negotiations from an objective point of view and provide the most cost-effective solutions for our clients. The proven RFI-RFP-RFQ process of evaluation ensures the finest obtainment of services and contracts for our clients. If you have questions or want to learn more about our services contact us today at 866-504-4050 or email LIMITLESS at info@limitlesstechnology.com. For immediate assistance you can also use our online chat.